The above info came from Terra, and was edited by yours truly (contact me). In a highly technologically advanced city Tōma Kamijō is a student currently enrolled in an Academy set in Western Tokyo where students with magical powers are living. However, he is on the lowest ranks of physic powers, as a level 0 with his power Imagine Breaker (which can negate all magic, psychic, or divine powers with his right hand). 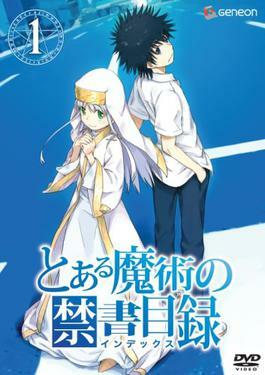 After Touma Kamijou gets in a fight with a level 5 esper Mikoto, his world is ultimately changed when the next morning he finds a young girl dressed as a nun hanging on his balcony railling. The white cloaked girl introduces herself as Index, a nun from Necessarius, a secret magic branch of the Church of England. Her mind has been implanted with the Librorum Prohibitorum—103,000 forbidden magical books the Church has removed from circulation, and she can remember it all as she possesses a photographic memory. Now he must protect her from those who try to steal the secrets from the forbidden books-but, can a low rank esper like him handle it? What happens when two people known as 'sorcerers' appears in chase of her, or more specifically, her memory? Will the low level 0 rank be able to protect her? The above description came from Terra, and was edited by yours truly (contact me).